The WOFAPS Foundation offers International Guest Scholarships to competent young pediatric surgeons who have demonstrated strong interests in teaching and research. 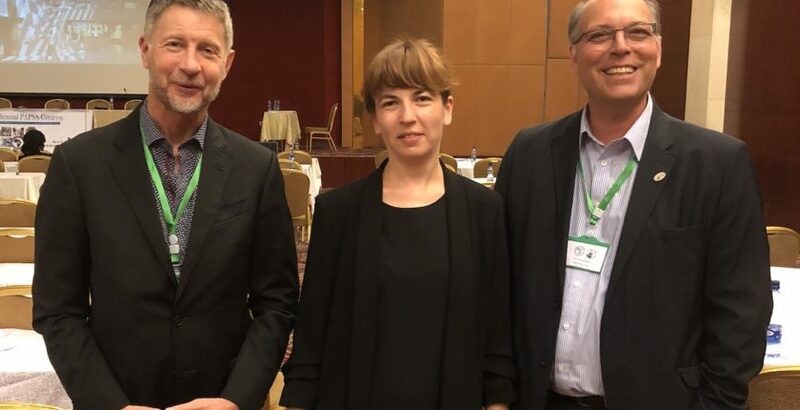 Here in the picture is Dr Monica Ivanov, 2016 WOFAPS scholar attending the PAPSA Biennial meeting in Addis Ababa, with Dr. David Sigalet and Dr. Alp Numanoglu. Learn more about the WOFAPS International Guest Scholarship and the application requirements.